We at MotorHaus are passionate about our work and the BMW products. We believe in treating our customers with honesty and integrity. With new car prices going up every day it is more important than ever to keep your automobile properly serviced and taken care of. 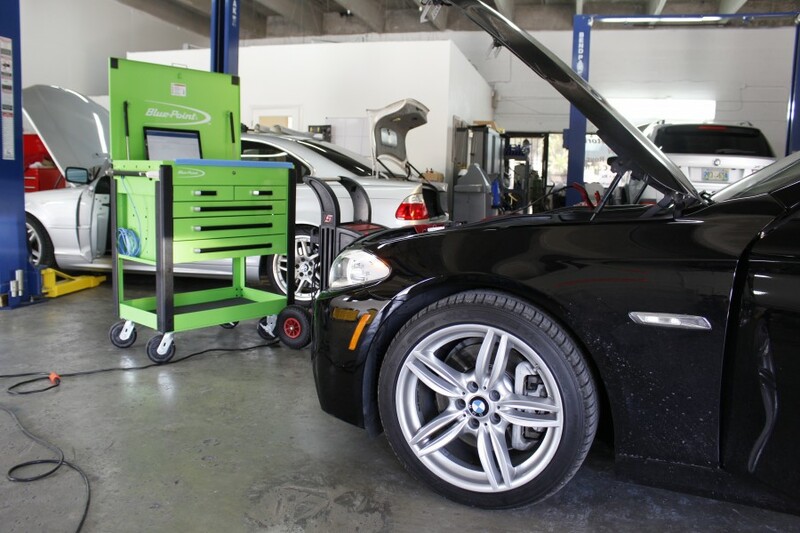 We use Original Equipment parts and fluids for your BMW. Feel free to call ahead and make an appointment so we can give you and your car our undivided attention. We are equipped with the latest diagnostic and programming equipment available. 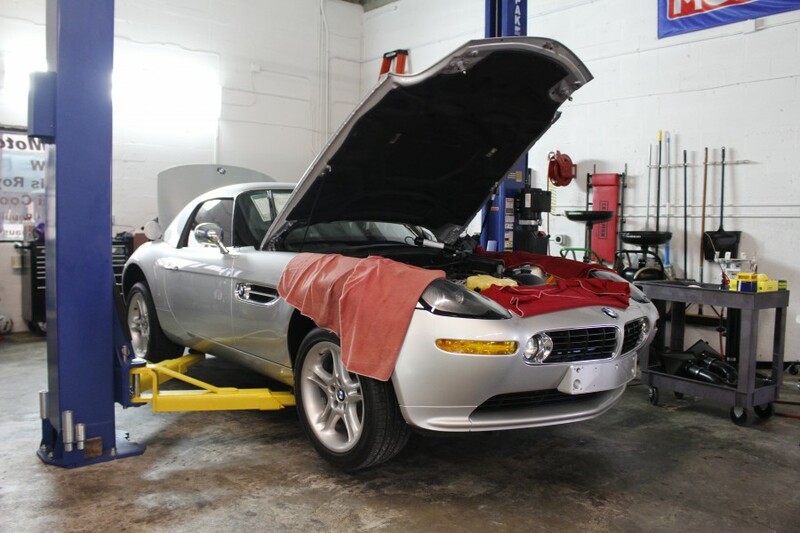 We are confident that with our technology and training we'll provide accurate diagnosis and perform any necessary repairs on your vehicle in a timely fashion. We stand behind our work with a 24 months/24,000 miles warranty on both parts and labor. We'll fix it right the first time and get you back on the road. We are a proud Dinan Authorized Dealer, North America's premier BMW tuner. Allow us to make your driving experience even more exciting without sacrificing the refined handling, reliability or warranty coverage you expect from your BMW. 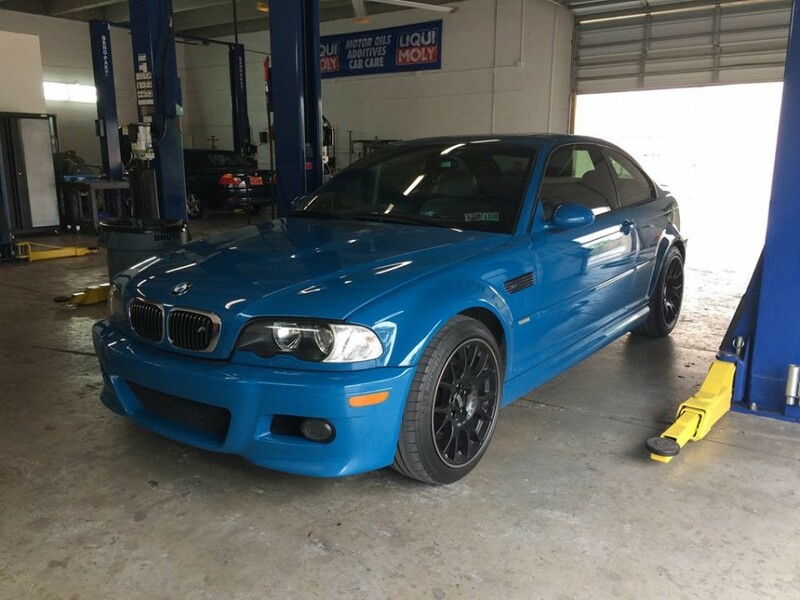 Whether you are interested in a simple performance modification or owning a one-of-a-kind, complete Signature Series Dinan vehicle, we can accommodate your performance needs. Marteen & staff are exceptional! I have had my car serviced & maintained at authorized dealerships from Jupiter to Ft. Lauderdale and Motor Haus is second to none when it comes to taking care of the little things to the most complex (with my car) at a very affordable price. For ex. My power steering reservoir needed a pair of nuts to hold it in place & after visiting all three authorized dealerships for various repairs/maintenance, spending thousands of dollars in an eight month span, no one brought it to my attention. But, when I was introduced to Marteen for a 2nd opinion after visiting the dealership on one occasion; I decided to let him work on my car. Not only did they found/fixed the right problem (finally), contrary to what the dealership diagnosed, they placed a pair of nuts on the reservoir without me asking or charging me for it. It has been a year since Marteen repaired my car & I haven't had any major repair done from then, which is quite the opposite the previous year - going from dealership to dealership. Great customer service!! I had driven down from VA to FL to visit relatives and was planning to leave in just a couple days when my Check Engine light came on. Terrible timing, as you might imagine. Neither of the BMW dealers in the area had any availability until the following week or any suggestions for where I could get assistance. I found MotorHaus on this site and decided to give them a shot, based on their reviews and location, and I’m very glad I did. They were very sympathetic to my situation and did everything they could to fit me in so I could leave town. In addition, they thoroughly explained the work that was done and answered all of my questions. I greatly appreciate the team at MotorHaus and highly recommend their shop. I have used MotorHaus on four occasions over the past year and would give them 5 stars out of 5 for service, knowledge, cleanliness of facility and cost of service. I have recommended them to others and they have been very happy with the entire experience. I highly recommend giving them a chance, you will be happy you did. I have been taking my car to Motorhaus for over 3 years, and the service I received is alway above excellent. The workers there are courteous, knowledgable professionals. I like the fact that they always check my car and let me know if something needs to be repaired before it breaks. They are honest and reliable, I would not take my car any where else they are simply the best. Excellent experience with my BMW repair. Pinpointed the problem about my coils and spark plugs and also suggested to replace the whole set because of new design change from BMW. These people are too honest. Shop is very clean. I strongly recommend MotorHaus to my friends. Great service! MotorHaus has incredible knowledge about BMWs! Brought my car in today to find out what was causing an annoying vibration...They found it and fixed it. They replaced my burnt out trans fluid and the car drives amazing again!! I had taken it to 3 other shops over the last year and none of them could figure it out...thanks guys!! Customer for life! Old world courtesy, razor-sharp BMW expertise and surprising low prices. I loved my experience at MotorHaus. My beloved 325 is happy and so am I. Martin (the owner) is a real treasure. 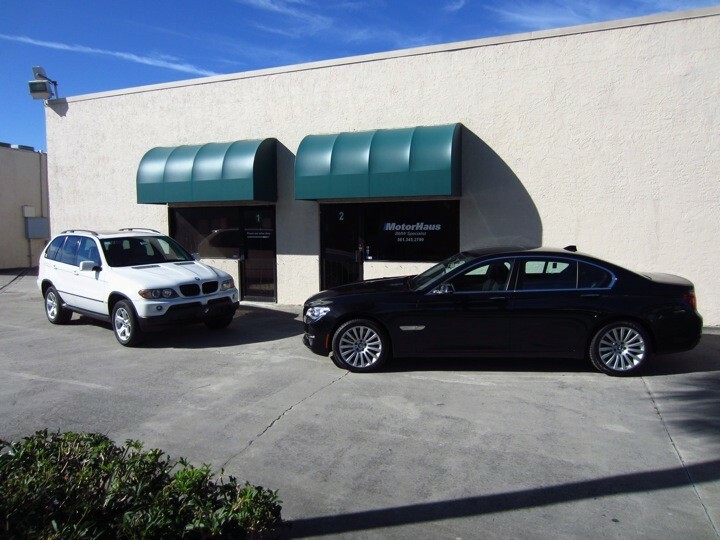 Being in the car business for many years I have had my share of many independent shops and worked with bringing our Dealership cars to just about every big Dealership in South Florida, and I must say it's very comforting to finally be able to find a BMW shop that operates in the manner that Martin at MotorHaus does. Very efficient, attentive and most important honest. I've learned in this business there are an unfortunate amount of crooks who simply don't know anything about cars and just exhaust customers when trying to take care of their prize possessions. I'm personally on my fifth BMW, and currently own a 645ci Convertible and an M3. I was recently on the verge of finally selling my 645 because of the lack of quality service shops in the West Palm Beach area. After working with Martin it's clear why he's a BMW Master Tech and very good at what he does. 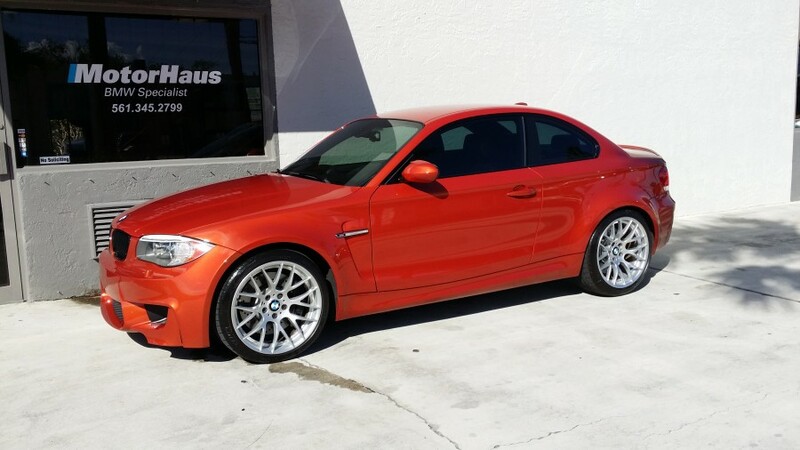 I recently purchased my secondary BMW a 2002 M3 that I have always wanted, confident that he would work with me in getting the vehicle in top running condition considering it's age. He certainly has gone above and beyond to do that, and most importantly at very competitive prices for the repairs performed. Perfect service, very honest, will continue taking my cars to MotorHaus. Martin knows what he is doing, he explains everything. I would recommend MotorHaus over and over again, his professionalism, experience and customer service leaves BMW dealers way bellow standards. You can rest assure that your car is going to get fixed utilizing the most advance technology and handled by an expert in class and if this is not enough all will be a pleasant experience after been treated sincerely without any surprises or any additional services recommended and not necessary like it happens at all dealers ships. Thank you very much Senior Martin for your services .... I'll be back! Martin is exceptionally professional, honest, and knowledgeable. He takes the time to sit down with you and go over what needs to be done on the car. First class! Thank you! If your bimmer needs some work done bring in to MotorHaus. Now that I have found a highly credentialed BMW mechanic with an honest and straightforward approach to running a business, I am done getting ripped off by the dealers. No sense arguing and overpaying anymore. The best thing about getting your car serviced at MotorHaus with Martin is that he shows you precisely what the problem is, explains it plain English, provides service for a fair price (doesn't mark up parts), and delivers his work in the time frame he promises. There is no getting bounced around the service department trying to find out when your car is ready. What more can you ask for? I recently purchased a 2001 X5 4.4i that I knew needed some work. I did my research here and other places on local Independent BMW shops and chose to go with MotorHaus after getting quotes from three area shops and also after speaking with Martin. Once we knew what was wrong, Martin gave me options. He indicated what needed to be done now and what could be put off until later, and given that I'm not totally unhandy, what I could do myself, if I chose to. I like options! Martin's prices were excellent. And we decided on what work he'd be doing. He finished the work on time and provided a walkthrough of the old parts that were removed from the vehicle. After seeing the condition of the old parts, it really drove home the importance of making the repairs that Martin suggested. 3 days later, he spent an hour of his time troubleshooting an airbag warning light for me that was *my fault* for having damaged the retaining clip, at no charge. That’s customer service! - Martin is simply a nice person. The kind of person worth doing business with. Great and honest service. AAA! I highly recommend MotorHaus. Great shop with a friendly and skilled owner / technician. Martin has an incredible depth of knowledge for BMWs. He will discuss your car's needs and can answer any question that you can come up with related to your BMW. I asked about 90 and he answered all of them patiently. He works only on BMWs. He welcomes you to see what he is doing on your car. I went in for an oil change at a MUCH better price than the dealer. While my car was on the lift Martin noticed a tiny vacuum tube had not been connected to the second exhaust pipe (tell tale sign was the plastic cap protecting the fitting was still in place) when it was replaced by previous owner. This tube opens and closes that exhaust pipe depending on the needs of the motor. I was driving around with only one exhaust pipe and paying the price in performance and efficiency. He reconnected it and I drove out with a HP boost when I only went in for an oil change. Thanks for noticing this Martin! I will be a return customer for all of my BMW's maintenance and repair needs. My experience at Motorhaus was fantastic that only can you chat with Martin while he’s inspecting or making repairs on your vehicle, he points things out and educates you on your vehicle. The workmanship is exceptional and cost is more than fair, up to 50% savings than at a BMW dealership. The shop is kept in immaculate condition you can eat off the floor. Martin is a true professional, highly knowledgeable, trustworthy and a highly caring individual. Went for regular service. The work was done expertly, efficiently and for a reasonable price. I'll return for my next service or if the car needs something else. MotorHaus knows BMW's, and that's the key. The experience at MotorHaus was fantastic. We had been looking for an independent shop since our warranty expired this year and after several other shops, came across MotorHaus. It was equivalent to having a private mechanic on retainer, something we had never before encountered with any other vehicle. Our first service comprised the 60K miles checkup with full diagnostics and oil/coolant changes. Martin Lopez, the owner, went over every part of our vehicle on a Saturday, and even pointed out special features we were not aware of in our model. We established a scheduled maintenance program enabling a structured budget plan while also increasing preventive maintenance. The best way to describe the service would be like having a best friend who also happens to be a Master Technician work on your vehicle. Someone you can trust both for the quality of work and exceptional fairness of cost. We only wish we had more friends and family diriving BMW's to send over to MotorHaus!